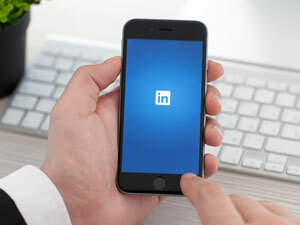 You Have a LinkedIn Profile: Now What? Are you a motivated, driven, dedicated worker? So's everyone else. Motivated. Passionate. Creative. Driven. Extensive experience. If that sounds like your LinkedIn profile, you’re doing it wrong. After all, if you’re selling yourself as someone who can produce sparkling copy or an inventive media campaign, those qualities should extend to the words you choose to introduce yourself to potential employers. Before you share anything with your group, sit back and observe what’s being communicated. Some groups have rules about what outside links can be posted where, and what discussions are relevant to the group as a whole. If you disobey the group’s bylaws, you might get ejected (ouch!). And much like a face-to-face network, groups are all about service. Post articles that are beneficial or offer advice to those asking for it — and before assuming someone else in the group would be happy to be your new industry mentor, ask him or her first.